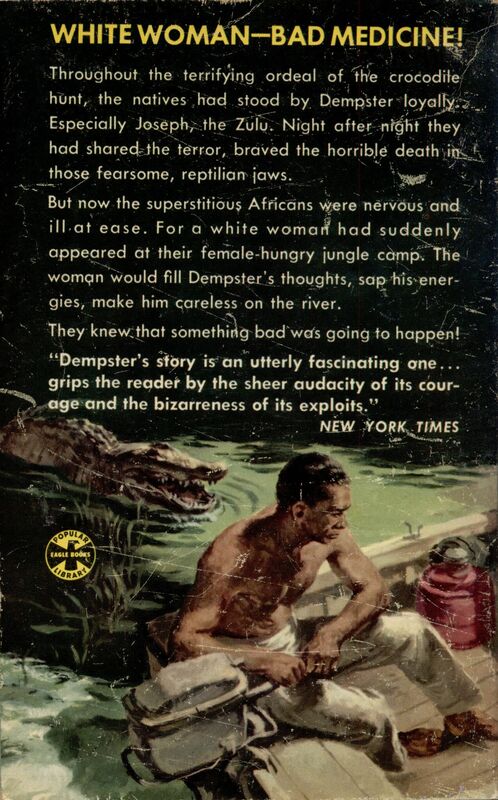 Through out the terrifying ordeal of the crocodile hunt, the natives had stood by Dempster loyally. Especially Joseph, the Zulu. 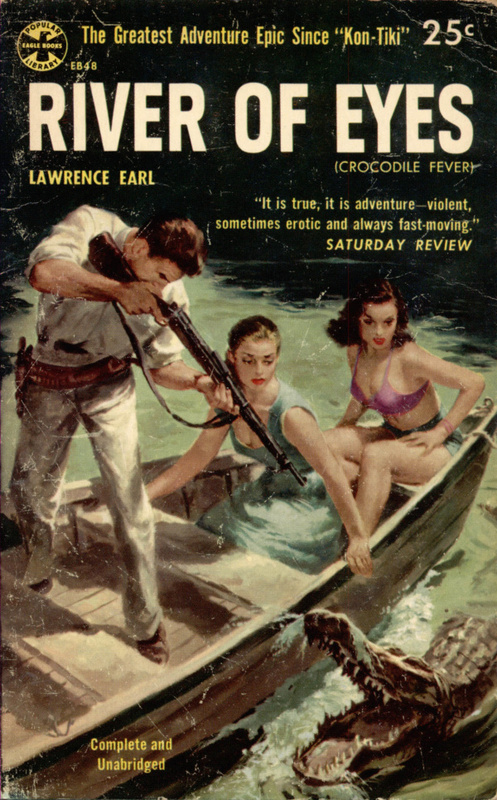 Night after night they had shared the terror, braved the horrible death in those fearsome, reptilian jaws. But now the superstitious Africans were nervous and ill at ease. For a white woman had suddenly appeared at their female-hungry jungle camp. The woman would fill Dempster’s thoughts, sap his energies, make him careless on the river. They knew that something bad was going to happen!